This entry was posted in Adoption, Controversies, Families, Foster Care, Hidden Disabilities, Key Ministry, Mental Health and tagged abuse, Adoption, antisocial behavior, Disinhibited Social Behavior Disorder, dsm-5, Foster Care, neglect, orphanages, RAD, Reactive Attachment Disorder, trauma. Bookmark the permalink. So would a child demonstrating what I consider to be the classic signs of RAD – including the pathological behaviors – be diagnosed with RAD plus another disorder that includes those behaviors? Exactly. The authors of the DSM-5 would encourage clinicians to diagnose other mental health disorders (Conduct Disorder, Oppositional Defiant Disorder, etc.) if the child meets the diagnostic criteria as opposed to attributing the behavior to RAD. The one exception is that kids with autism spectrum disorders can’t by definition have RAD, because the maladaptive attachment would be caused by the child’s autism. I don’t think the autism exclusion is a good thing. There’s a lot of evidence showing that autistic kids show selective attachments to caregivers, and that institutional care can cause autistic traits with a different prognosis and treatment response than actual autism. It would make more sense if RAD took diagnostic precedence over autism, rather than the other way around. So does a child with RAD who has already been diagnosed with ADHD stay in survival mode for themselves despite having visible help in sight? Steve, thanks for this series! Renae…What we call it doesn’t necessarily have a connection to what we do about it. I would also like to point out that adopted children, and those in foster care often have PTSD which people (even physicians and clinicians) seem to label as RAD simply because the child was adopted, even though attachment is appropriate. Also, in my observations, some issues in adoptive families seem to come from the parents themselves….for example, while bio-moms may suffer from post-partum depression, some moms end up depressed post-adoption – imagine how that interferes with bonding! And, absent depression, it seems to me that there are times when the adoptive parents simply do not bond with their adopted child. They may find that another family is able to feel the love and closeness to the child that they don’t – and the child easily reciprocates. In our parish, an older adopted child’s godparents bonded so easily and closely with him, that eventually, the first adoption was dissolved, and the child was adopted by his godparents. It was truly a case of God writing straight with crooked lines. Annie…thanks for weighing in. You raised an excellent point about trauma-if you’re interested in learning more, check out the link to the Harvard monograph about the effects of trauma on brain development included in the post. I’ve also seen kids who were never neglected or abused per se, but had mothers with significant mental illness (severe depression) during the child’s first year of life where the mother’s depression likely contributed to the development of attachment problems. I’m assuming she’s your biological child, rather than an adopted child? Generally, when only one child in a sibling group has RAD, it relates to different experiences in that child’s life versus that of her siblings. Siblings don’t experience identical environments, after all. Sometimes, the same trauma at different ages will have different effects, so for example a 2 year old and a 5 year old experiencing the same trauma will react differently. Siblings can also affect each other – for example, a firstborn child in a dysfunctional home may not form good attachments to parents, but that child may help look after younger siblings and allow younger siblings to attach to him/her, which would lead to those children having better outcomes. Lastly, parents do not generally parent all of their children the same way – for example, if a parent was under severe stress when their first child was born and life improved prior to the birth of a second child, that could have affected their parenting. Of course, it’s also possible that your daughter may be misdiagnosed. The non-DSM-approved symptom list above (the one that lists lying, aggression, etc) refers to features that are very common in children with ODD and CD, regardless of whether they have RAD or not. If a child with ODD/CD saw a clinician who used the expanded definition of RAD, they’d probably get misdiagnosed as having RAD. I just stumbled upon your blogsite. Thank you for the information and research surrounding it. My son was dx with RAD two years ago. He exemplifies all the signs and symptoms of RAD prior to DSM-5. He also has severe SPD, ADHD, High generalized anxiety disorder, Gross Motor Skills Dificiency Disorder, and a myriad of visual processing disorders (literally, 2 pages long). He is in therapy weekly for all of the above. He was in foster care internationally (or so we think) for 13 months before we brought him home. He was exhibiting symptoms at age 2-3, but was not officially dx until age 6, as that was when he started raging. He is now 8 1/2, with an emotional age of 3 and intellectual age of 11. I am concerned as to what he might actually have. His older biological sisters (both adopted into the US–two separate families– as well–one from an orphanage and one from foster care) both struggle with similar issues. His oldest sister, with identical issues. They live halfway across the country from us. This research and informations supports what I have wondered all along–was it genetic or institutionalization/disassociation or a mix. I look forward to following your research and blog–and hope to use the information to help churches in our area to understand that disabilities come in varying shapes and sizes–not all are physical. Frankly I think the DSM5 has just muddied the waters as far as children with trauma backgrounds who have attachment problems are concerned. The one good move was placing the RAD and DSED in the category under trauma, reinforcing the research that is there linking trauma (abuse, neglect, abandonment, unmitigated pain) as factors that can hinder the child’s early attachments. It’s frustrating, as a parent of a child who has been diagnosed with RAD (and so many other disorders – who really fits the definition of Developmental Trauma Disorder – one that has not yet been included) to see things get more confusing instead of clearer for these children. Instead of researching the connection between attachment and things like ODD/CD or personality disorders, the trend seems to be to insist that RAD or attachment problems are not a factor or are extremely rare. The attachment clinicians I’m aware of make a clear connection between early childhood trauma and the development of this disorder. To diagnose them with ODD/CD based on their behaviors meeting those symptoms, is to deny that their early beginnings had a thing to do with those symptoms. My understanding is that generally the treatment of ODD/CD has little to do with trauma or attachment work and more to do with cognitive behavioral work. You’re right, the research isn’t there to support much about RAD because the research hasn’t been done on any large scale. The other frustrating thing is summed up in one of your comments above “What we call it doesn’t necessarily have a connection to what we do about it.” While this is true, nearly all parents and educators, plus many treating professionals apply a mindset of diagnosis = course of treatment. After all ADHD = stimulant meds and therapies for focus, plus executive functioning skill building. Autism = sensory work, ABA, speech therapy. RAD, PTSD in children, DSED, ODD/CD, and whatever other alphabet soup is thrown at children for early trauma backgrounds = ???? Parents of these children struggle for YEARS trying to find appropriate help – and can sometimes find treatments and advice that make things significantly worse for their kiddos. Thank you for profiling these disorders! Many just skip right over RAD – believing it’s not real or it’s so rare not to be mentioned. Thanks for contributing to the discussion! The APA definitely did muddy the waters. You’re very right about the struggle families experience in finding the right help. 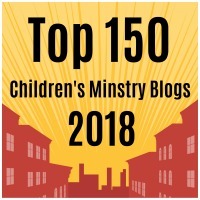 Part of the purpose for writing this series was our desire to see churches that are encouraging families to consider adoption and foster care involvement to be prepared to support the families through the challenges they’re likely to face. I certainly agree with that idea of attachment (in particular) being on a spectrum AND (especially) with encouraging adoption and foster care. Despite having one daughter with enormous PTSD, OCD issues due to trauma, we’ve adopted two other children who are easy, delightful, well-balanced boys. One just graduated from high school, and is on to a great job (due to his natural gift for electronics) and responsible, winning personality…. He has always been a jewel. The one issue we have is that he has no compassion for his sister’s behavior issues – because he says trauma isn’t an excuse – he went through trauma too, and doesn’t act like that. True….but he has a completely different disposition and personality. @Annie: Interesting that you failed to mention your OCD/PTSD adopted daughter got pregnant at the ripe old age of 14, that she accused her siblings of sexually molesting her and that her biobrother (whom you also adopted) committed suicide at age 17. Oh, and the foster son who was removed by CPS who you allowed to move back into your home once he turned 18. Because what traumatized children with severe mental illnesses really, truly need is a parade of non-permanent quasi-siblings in their home. I am the grandmother of a boy who is now 17 and he was placed with me off and on from 8 weeks to 9 years, when my daughter was on drugs. She was a crack addict. I also have her now 13 year old, and have had him since .5 years. The younger boy is not as troubled as the older one. The younger one does not remember his mom except for when she would visit once every 3 or 4 years while on probation from prison. Their mom, my daughter was trying very hard to change last year and doing pretty well at it, she visited them and wanted to come home to our town to live and be in one of our parishes programs that help women like she was. Then we got a call 4 weeks later, that she was dead. She got ran over by a dump truck in a 10 lane divided street in front of a zoo. She was in the crosswalk, everyone checked the crosswalk, but the dump truck driver, every one else waited and let her get through as the light changed from green to yellow to red as she tried to hurry through the light. Our lives were completely crushed. Our hope was gone, and we knew we would never have her in our lives again. No the 17 year old has become so mean to me, and to his brother, and to any person that tries to be his friend or love him. He is trying with all his might to control us, and not let us close to him this last year before he leaves home for college. We are so sad, and so hurt, and when he says bad things to us, we both say things right back to him. OUr lives are shattered, but we don’t now how to fix it. We have gone to therapy for years. No one can really help. I worry all day and night. We are on state insurance, I am alone with the children, and I am so lost. What can we do to find love and hope again for all of us. So sorry for your loss. I found my birth family only to find my first mother was deceased. The only comfort I’ve found is in allowing my heart to grieve and asking God to hold me and never leave, even through the pain and my weakness. Letting your grandson acknowledge his double loss and finding the good things he inherited from his mother…Bless you and may God comfort you all. I like the books Journey of the Adopted Self by Betty Lifton and Twenty Things by Sherrie Eldridge. Quick comment here … we treated literally hundreds of youngsters who were diagnosed with AD/HD who did not have it. Instead, as suggested in the above comments, they had either PTSD, Anxiety, RAD, or a combination. The thing I want to emphasize here is this: we included EEG Biofeedback as a part of many children’s treatment protocols, with spectacular results. HOWEVER, if we had treated the supposed AD/HD with the typical EEG Biofeedback protocol when the child did not, in fact, have AD/HD, or it is not the underlying condition, we could have greatly exacerbated the PTSD, Anxiety, or RAD. It would be like giving a child with an anxiety disorder, a stimulant (medication for AD/HD), and making the anxiety worse. So, diagnosis certainly DOES matter in many cases, potentially directly resulting in a state of greater difficulty for the child and family. By the way, the American Pediatric Association has elevated EEG Biofeedback to Level 1 treatment status for AD/HD, so we could very legitimately and successfully treat AD/HD when it was the correct problem. But when AD/HD and, say, RAD were both accurate diagnoses for a child, we had to prioritize treatment interventions so that we treated them in the correct order for the brain to do its repair and recover work. Please don’t say that diagnoses and treatment don’t match — they do, greatly. Ask any parent whose child died when they were given an antibiotic for something they didn’t have, and which did not address the particular bacteria that they DID have (I have known two such cases). Thanks for the opportunity to talk about such critical matters. By the way, we see lots of kids coming through our practice who have experienced significant side effects from medication that was prescribed for conditions that in all likelihood, the kids never really had. So diagnosis does matter, especially when kids are being exposed to medication with potentially serious side effects…antipsychotics prescribed for “bipolar disorder” seem to be the worst offenders in our neck of the woods. We have a couple of guys in our neck of the woods who do a fair amount of EEG biofeedback. What do you think the mechanism is by which it exacerbates PTSD, anxiety or RAD? The simple answer is that particular disorders “reside” in specific parts of the brain. so, AD/HD requires Neurofeedback treatment on one side of the brain, while anxiety requires that we attend to a different side/site of the brain. By encouraging the brain to “jazz up” one site, which is what is required to help children with AD/HD, a child may inadvertently become “over-jazzed” in his or already-anxious state. There are some great articles on the http://www.spectrum.com site, talking about research which is still relatively new. We have so much to learn, and yet we know so incredibly much more than we did before. Thank goodness. This is an interesting comment. My son, with PTSD and high anxiety was treated with neurofeedback and shortly after the second treatment killed himself. This was so entirely unexpected that I have a hard time not thinking the two were related. After the first treatment he felt extraordinarily good, then after a couple of days became depressed (which wasn’t all that common for him), but it wasn’t a terribly deep depression, so we didn’t think that much of it. After the second treatment, he again experienced a feeling of being happier than usual, then two days later he died. I do not think the practitioner was prepared to treat someone as mentally ill as my son. I wish I had known the powerful effects this treatment could have. I guess because it seemed innocuous, we didn’t take it nearly as seriously as we did medication – neither did I think it “mattered” that much who did the treatment….. I now believe I was seriously wrong. Oh dear, Ms. Kitching, I am so, so sorry for the tragic loss of your son. I, too, have lost a son, and am aching for you right now as I read your post. Although my son, Danny, left us due to a car accident — run off the road by a drunk driver — and although we each grieve in our own way, I feel overwhelmed with grief with you at this moment. Because I don’t know your son’s circumstance exactly, (although you paint a vivid picture), I can’t really comment on his situation and what might have been happening for him at that time. And in fact, since I was not there, or the treating practitioner, I believe it is not appropriate for me to comment at all. But I sit here staring at the computer, not knowing what to write, except to send you all of the love and peace that I can send through this limited, very constricting method of communication. I’m so sorry if my post caused you more pain than you already know and live. Thanks Dr. Eshleman for pointing this out about NFB for ADHD versus attachment issues, thus furthering the discussion that DSED is not ADHD. We have a child (adopted from overseas) who did fit the DSED diagnosis very well. We have done many therapies that have helped tremendously. The ONE that did not and made matters worse was NFB done by a NFB specialist (and a well recognized one) who approached her as an ADHD child rather than what she was which was a child suffering from extreme neglect (past) and attachment issues. So glad to hear that you had some therapies that helped a lot. There ARE good therapies, including NFB, but the have to be carefully administered to fit the child and family’s needs. Sounds as if your child is a good example. Thanks for writing! Victor, it’s been a long day for me, too, and i’m tired, also. But not tired like you. Perhaps we could talk by phone in the next week or so? I would like to help you, if I can you’re carrying a very heavy load. If you’re willing to talk, let me know when are good times, and we can make a time to talk together. No charge, just talk. We live in Alexandria, VA and we need help with our daughter. We brought her home from Serbia in the spring of 2010 when she was five years old. We knew when we brought her home that she had autism (she is very high functioning), but in the last year she has lost what impulse control she did have and she is constantly aggressing, self-injuring, attempting to elope (search and rescue have found her twice). We are a military family and she has seen a psychiatrist in Bethesda/Walter Reed for the last few years that has done nothing but medicate her (risperdal and clonidine). I believe the medication has brought about psychosis and we are currently weaning her off of both because we see no benefits that can outweigh the long-term side effects. Are you taking new patients? I see that you’re only about an hour away from us. Lark – my heart also goes out to YOU. It is a grief that will never go away, I don’t think. I am sure you understand that. I didn’t expect agreement…..and I sometimes think of other “reasons”…..maybe the main one is – he was a teenager, and I have come to truly believe, he didn’t stop long enough to even realize what he was doing. Still…..for some reason the neurofeedback seemed more like a “curiosity” than actual treatment. I even supposed that Ilya might be imagining the uplifted feelings he reported afterwards. Maybe he did? I don’t know, but in retrospect, I wish we’d been more cautious in how we used neurofeedback. What bothers me about all this is the fact that what is traumatic for one person might not be traumatic for another regardless of age. On that note, the levels of neglect very so much and can be perceived in so many ways it is almost unbelievable. My biological daughter was diagnosed with RAD right along with PTSD, ODD, and ADHD at this time. IN the past it has been, RAD ODD ADD, ADHD (yes separately), Mood Disorder, Anxiety, Depression, and Bipolar. My child, now 14 years old, completely refuses to respond to anything in a positive way. She wants nothing to do with getting any help for any reason including MH Care or even school work. All treatments thus far have been in worthless for her. Everything has been tried. The criteria for RAD is appalling. From my understanding there has to be severe neglect and/or abuse as defined by the Department of Family Services from birth to 5 years old. Such things have not happened to my daughter while she was in my care. I am wanting a response to my reply because this is just the tip of the iceberg I am actually wondering if she is a real Psychopath rather than all those other diagnosis. I wonder this because she is very intelligent and knows how to act well enough to fool most Mental Health Care providers. I’d like to guess Psychopath aka Antisocial Personality Disorder. In my somewhat limited experience and research of RAD, I have wondered this very question….if a child with RAD is not treated, what is the result in adulthood? I do believe there is a correlation between RAD and Antisocial PD or psychopathology, however I do not believe ALL RAD and Antisocial situations are connected. In other words, I am thinking that the two could be related in some instances, but not necessarily. I believe I may have it to, I was adopted at birth and had a great adopted mom and dad they showered me with love but I was out of control and very violent toward other people and I also ran away all the time..Unfortunately I was molested by a family member as well and so I had some trauma in my life…I spent about a month in foster care to I was taken away from my adopted mom and dad for a short time then I continue ued to run away from the orphanage and went to juvinal hall..
At ave 18 I was the youngest one on a max yard in prison, I ended up going to prison two times I always felt lost and empty..when my bio mother found me I kind of felt a little better but when I figured out how she actually sold me as a baby I became angry at her and she did nothing but use me the whole time I associated with her. She also told me several lies about my real father and who he was I have nothing to do with her now…the only part I don’t get is I was extremely close and bonded to my dad and my mom for that matter. He recently passed away and I thought I would die the pain was unreal. Also I love animals and never became violent toward my adopted mom or dad at all but I fought with all my cousins and was treated different by my aunts and some of my uncles …I must say thow I was lucky to get such wonderful adopted parents they really did save my life I just wish somehow I did not feel so empty inside or acward around people o don’t know..I’ve had the same best friend since I was a kid and I love all my children more then life itself so I maybe I don’t fit all the criteria on this bonding issues rad kids and adults have..except I do have a hard time in relationships I can walk away and never look back as if I never met them I’ve been with my fiance 16 years and he’s the only man I have never left. But we do have our problems…Also I was on life support in the past for 27 hours due to trying to kill myself I actually came pretty close and even as ankid I would cut my arms or take pills and drink a lot..I was diagnosed with PTSD due to trauma but I wonder if I have some sort of rad. I would also make stories up as a kid that my mother was dead..I have no clue why its almost as if I knew my real mother was someone other then my adopted mom I would tell people I had a little brother as well and come to find out I DO its very odd some of the stories I would come up with almost as if I was feeling some type of connection with my bio family. As an adult who has RAD, I am bothered by the dismissal of it because the research isn’t there. I happen to be an educational psychologist with a PhD in the field, so I value solid research, but what we know of most adults is the mess they become. I have learned to regulate behavior but almost everything about me in intimate relationships is classic RAD. It HELPED me to discover this, however. I had a lot of wrong diagnoses over the years, but the only one that really made sense was RAD. Sometimes the research doesn’t exist simply because it’s not been done, but it doesn’t make it true. Once upon a time we thought smoking was okay for people, you know? I’m writing a book on this right now, particularly the adult side, so I am doing a lot of research, though the book is more case-study/qualitative in focus, mostly because that’s what this book needs, but also because the research side is not yet developed in fullness. It is my belief from what I have read thus far that a large number of poorly adjusted adoptees have some form of attachment issues (whether RAD or not isn’t the most important thing when it comes to practical life). Unless you have had it and know that desperate hole of emptiness that haunts you, it’s hard to fully grasp it, I believe. I’m not arguing at all here. There are so many factors to consider, but my heart burns for this issue. It also burns for the church and awareness for adoption. I want those in the church to adopt but I want them to be prepared to deal with this, to deal with the work it takes to attach, especially the older kids. Approximately 100,000 kids are in foster care with the need for adoption (many more have a different goal), and the median age of them is 8.5. We may never know, but the odds of many of them having deep attachment issues is strong. Until the research is in existence, parents would do well to consider it a factor. I wish it had been dealt with in me early on, but even in my middle years I think since it wasn’t as severe as some cases there was hope. So this is both my personal and professional opinion mixed in one! Thanks for the opportunity to present it. Michelle – I share your passion as both a personal and professional mission (and the mother of an attachment-impaired adoptee). Your viewpoint is invaluable – thanks for sharing it with the world. I, too, wish there was more research, but there’s not. Lack of research doesn’t make it not real or even rare. The hundreds of phone calls and emails my organization gets each year tells me otherwise. I would agree that more research is needed on the matter. What bothers the hell out of me is that doctors are now using RAD as a catch all just like ADD/ADHD. I would personally love to be contacted for a research study. My 14 yr old daughter is now in a long term therapeutic residential care facility because of her “RAD” like behaviors. Her diagnosis is currently ODD, RAD, Depression, ADHD, PTSD, with a billing code of 799.99. I looked up the billing code and am so very not amused with the answer that was shown. I’m no doctor by any stretch. I have just been looking up any and all info on childhood, adolescent, and adult mental disorders daily for over 2 years now because of my daughter. I been trying to figure out how to give/get her the help she needs. Sadly, she is refusing help at every turn, even now at the center she is at. I would also like to know the effects that RAD like behaviors have on other children in the family. My son (younger than my daughter) is now suffering from what they now think is PTSD because of the trauma he is dealing with about his sister. Sadly, the so called doctors around here decided that they would make matter worse and chose to only see ADHD and taught him about it and treated him for that instead of seeing the bigger picture making things epicly worse for my son. We took him out of counseling and now he is getting a little better. Go figure. So yeah, I would love to be contacted over all this stuff by a real professional who will actually listen to facts. I was shocked to find how little research has been done on this topic. One of the challenges we now face is that there really isn’t a diagnostic category in the DSM-5 that captures the nature and severity of the issues we see among many kids who have been adopted or are/were cared for through the foster care system. In our current series, we’ve been looking at the research on trauma and neglect, which may ultimately be the prism through which our field begins to approach these issues. I agree…the impact of a child with these patterns of behavior upon their family is huge, and all too frequently, mental health professionals overlook the impact upon family. It also doesn’t help that insurance companies generally don’t pay for family therapy done with parents in the absence of the child. The only criteria that fits is the one for psychopath. (from what I have found through all my searching) BUT the only difference I have found was the fact that a RAD child will accept help and allow treatment, counseling, and therapy, etc. a true psychopath will not. Yes, as you can see from all my comments I am rather stuck on how RAD is directly connected to psychopathy. This is only due to what I am SEEING currently with my own child. (who is not adopted). I Would LOVE to volunteer me and mine (history and current) for research on this subject. Maybe just maybe somebody can come up with answers!! I am sure I am not the only one who is willing to do this. My bio-mother already agreed to this study IF we are wanted. And the word Adopted/Adoption needs to be clarified* My daughter was NOT adopted. So make sense of that one. Great comments! I think you have lots of wisdom and personal experience to contribute to the church. I agree COMPLETELY about the need for churches that encourage families to adopt or serve foster kids to be prepared to offer the necessary supports at every step of the journey so that the parents and their kids can actively maintain their involvement in worship and ministry. No, it doesn’t list those behaviours. But those behaviours are all common to, and assocaited with trauma, which RAD is classified under. So perhaps community education is more appropriate around types of trauma responses – particularly those in CPS and foster care services is required rather than suggesting that a diagnostical manual include these. Just did a Google search for DSM-5 and Reactive Attachment and was pleased to find a fellow Mental Health blogger on WordPress :). Great article. Thanks for your thoughts. There is no point of difference RAD and PTSD. Very helpful, Steve! Thanks for posting! I just needed to fill you in on a few things, my daughter who has come from foster care was given Abililfy and Lexapro and each and every time she would go off so to speak they would put her into the hospital and up her meds…each and every time she would get worse! when I first got her I had taken her to a dr. and ask if we could reduce some of these meds and they did and she started to calm down, and when we finally got her off all the meds she got even better. Seems to me that those professionals could have seen that the more medications they would give her the worse she got? She was institutionalized 5 times in 6 months, and we now know it was all from the medications….she is now a perfect little girl and is doing awesome in school. Although, she does have ADHD and you can clearly see that she has that, our Dr. recommended fish oil, zinc, and a multi-vit. for her…and after 10 15 days on the fish oil alone she has been doing wonderfully…she had went from being in special ed classes most of the time to only 20 every other day, and is bringing home straight A’s and B’s on her report card. I stand to say that if she had stayed in foster care she would have been institutionalized for the rest of her childhood and would probably been in jail soon there after due to the medication they forced on this poor child all because they couldn’t CONTROL her behavior. If you do your research you will find that children with ADHD need the omega 3,6,9’s for brain development, and when given this everyday are more focused and able to calm themselves down. 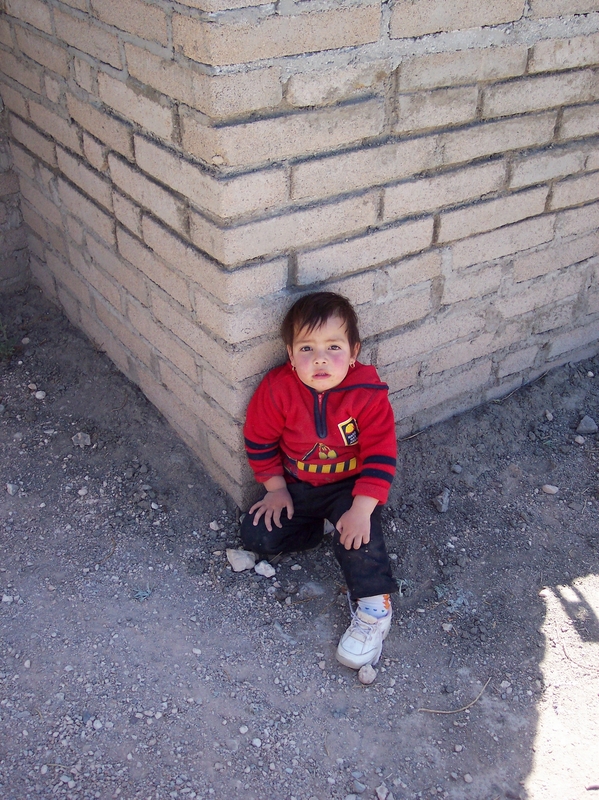 Foster care/orphanages are not a good place for these children. And in my opinion if you are only into taking a child in need of care into your home for the money or prestige then DON”T DO IT!! these children are already having a horrible life and don’t need people who only want the money or prestige of having these children in their homes. They need loving families who are willing to go the distance to help them and show them they are loved and wanted. Do what is best for the child you agreed to take into your home and show them how real family is. Most, if not all children in foster care have no idea what so ever how family is supposed to be. And in most cases these children will learn that you love them and need them in your lives just as much as they need you. Once you have that the bad behaviors should slow down and stop, I know it has with my daughter. I wouldn’t trade her for all the money in the world. But, while she was on those meds she was all of those horrible descriptions in this forum. I hope this helps…these children need good honest loving people to care for them in the worst way ever! Thanks for sharing your experience with us. I do want to respond to a couple of things you said. I can tell you that in my professional experience, this statement isn’t true in “most cases.” I have some incredibly loving, caring and insightful parents in my practice who honor God and yet have struggled with adopted kids who manifest extreme behavior. 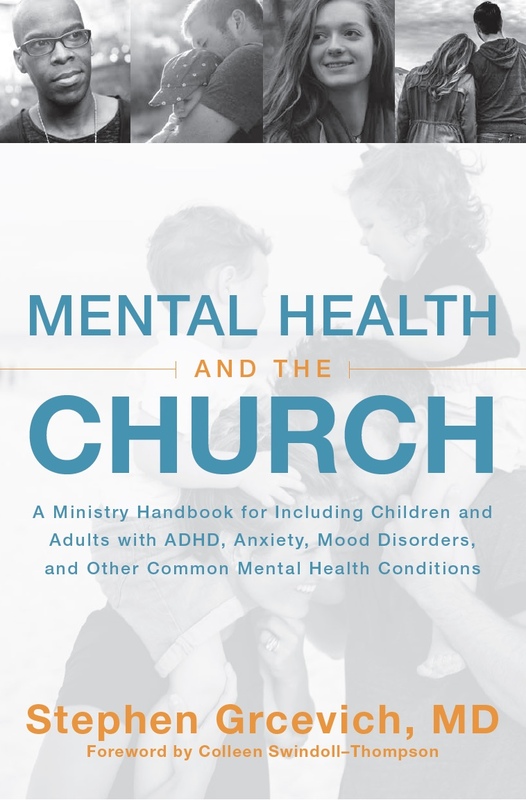 Sadly, love isn’t always enough, and the implication that it is (or should be) with most/all kids exposed to trauma or neglect is as destructive as the myth that mental illness is almost always indicative of a problem with sin or inadequate faith. My book will be out soon I hope. It will be called, “Precious, Adopted Darlings”. This book focuses on success. It is not scientific. It is not based on my successes. It, I feel, is an inspiration from God as He has prepared me my whole life to help others succeed with their adopted children. So much of my childhood I heard from other folks that an adopted child has a behavior problem because they were adopted. It always made me mad to hear this because I felt these people were never objective. My adoptive parents knew how to be successful parents. And because they were successful, it is their success that helped me write this book. They are the ones who wrote the pages God told me to pen. It is written from an objective point of view and is based on interviews with many adoptive parents and adults who were adopted as children or babies. But with all the information on “what went wrong” , I am here to tell you “what went right” and to help adoptive parents as well as adoptive adults, and the world out there who really wants to understand the covenant of adoption better. Miriam…great point in that we often fail to examine “what went right.” Sounds like your book is much-needed. I have a child that is 20 years old now and trying really hard to connect to other adults/companions but isn’t having success due to he has issues with keeping up a major wall between his parents, friends and a “guy friend”. He is asking for the help now that he is older and sees what we have seen in the past. We have had him in therapy but he wouldn’t respond to the therapist at all. what kind of therapist does he need to go see? He has always had issues with anger, connecting to his parents, never getting along with his friends for than a few months before getting tired of them or them making him ignored with them. please give me some advice on how to help my adult child now. Hi Laura…I’d start by suggesting your son see a competent psychiatrist or psychologist who’ll take the time the nature of the problem and develop an appropriate plan to address it as opposed to simply jumping into therapy. There are lots of different types of therapy and the type of therapy he receives (and who you’d want him to see) depend upon one’s understanding WHY he’s currently experiencing difficulties. Adopted and foster children are suffering from disenfranchised grief. Society refuses to acknowledge the profound loss of a child whose very identity is changed and sealed from them in order to “succeed” in a family with no biological mirroring. Instead of the children being diagnosed, the system needs to address its pathology. This is spot on. They do not need religion, and they need things in order – family of origin first off. They can find their own religion if they decide they want to, later on. I’d beg to differ with your comment. Everyone needs to come to experience the hope that comes through faith in Jesus Christ. I do agree with you that we need to better understand the impact of trauma, grief and loss among kids who are adopted or placed in foster care. It’s certainly nice to see someone finally challenging what seems to be an ever-stretching definition of RAD to fit any and all unwanted post-adoption behaviours. That said, it would be nice if there was more focus on the overall picture which includes the foster or adoptive parents, their emotional and psychological health and how they parent. Too often it seems that clinicians only serve to back up the mistake that many foster and adoptive parents make, which is to absolve themselves of all blame and place all blame on the child. The child as viewed as solely responsible for the feelings and bonding of two people (themselves and the adoptive parent) and the adults are viewed as responsible for nothing and incapable of causing any sort of distress in the child. You can’t treat a body-wide infection by only treating one toe and you can’t treat interpersonal relationship (attachment) issues by only blaming and looking at one person alone but that seems to be the standard of “care” for treating and dealing with supposed RAD presentations. A study published in the Sept. 9th, 2014 edition of the Human Reproduction journal involved 7,148 women who underwent fertility treatment without success. “We found that women who still wished to have children [after failed IVF] were up to 2.8 times more likely to develop clinically significant mental health problems than women who did not sustain a child-wish,” the study’s lead author, Dr. Sofia Gameiro said. How many of these people with all these untreated psychiatric disorders go onto adopt? A decent portion do. We end up with children who are traumatized and have just been separated from everything they know being cared for by adults who are almost equally traumatized with these untreated psychiatric disorders and their grief (from being unable to carry to term or conceive and all the issues that often go along with IVF such as miscarriages and stillbirths) and yet, as I said, we blame only the child when there fails to be an attachment. All the documentation about RAD speaks almost exclusively as it being an issue within the child, the child’s genetics, the child’s first family. Slim to never is there even a mention that the issue could very well be partially or even entirely the foster or adoptive parents. It’s a huge disservice to everyone, especially the kids who already have to deal with enough issues let alone being entirely blamed for their adoptive parents untreated mental issues as well. I’m not sure how diagnosing a person (child or parent) is considered “blaming” them. At the Attachment & Trauma Network we are the voice for families of traumatized children – some of those children struggle to build healthy attachments and fit the criteria for RAD/DSED diagnoses. We seek to make the public aware that RAD, PTSD, DSED and developmental trauma are disorders not willful behaviors and the children and their families should not be stigmatized. The therapeutic parenting (and therapies) that work to help these children get healing opportunities do not blame the child (or the parents) for these disorders. And yes the parents who are learning to become more therapeutic very often have to “deal with their stuff” from a psychological standpoint, regardless of how emotionally healthy they were prior to the arrival of their traumatized child. It’s wrong to assume that all adoptions occur because of infertility (many do not) or that all RAD/attachment problems only occur in children in foster/adoptive care (early childhood trauma happens in many ways and no one knows why some children’s attachment becomes more disordered than others in response.) There are some fascinating studies on epigenetics and generational trauma/resiliency that may be providing some clues. Oh, and the National Institute for Mental Health says the prevalence of anxiety disorders in US adults is 18.1% – similar to the study you cited. They do say that 34.3% of those adults are getting “minimally adequate treatment”. Understanding the impact of trauma, especially on those who have already been traumatized or have anxiety disorders is highly important. Yes – the system could do a much better just understanding, screening and preparing pre-adoptive parents and providing supports and services for families post-adoption. Couldn’t have said it better myself! Thanks for contributing to the conversation. The first trauma that needs to be recognized is the seperation from the biofamily. No matter how bad or good they were. The child KNOWS…just as any mother KNOWS their own child, children know from a very basic point that they “don’t belong”. Start there. That is the first major truama they have experianced. Then it goes from their, tiny little people dealing with stuff that most adults can’t get a grasp on. Children in the best of adoptive homes, coming from the “best”(highly disarable ) bio families still suffer truama pain. And yes, adoptive familes need to be better screened to assure they are good enough for these poor children. Do these changes make it easier or harder for us to qualify for ssdi for our adoptive/foster kids with these issues? There’s an itch within me I can’t scratch; a wild animal clawing to get out. I climb to the highest vantage point in order for all to hear because I have something to say. Most keep on walking like they have seen it all before; a deranged loon yelling at the top of a building. The disconnect does not bother me; one person in a sea of faces will hear what needs to be heard; one person. I am a RADs kid. Everything else is symptomatic. In infancy the primary care giver sets the foundation for all future relationships, a set of blue prints if you will. Most blue prints are done in ink; a RAD kids are done in chalk. Mine were done in chalk. Growing up every symptom was treated, from my depression to the PTSD. I was diagnosed with RAD but it was always overlooked as my treatment was always in crisis mode having to deal with the most pressing matters first. It was not until my early 20’s that I realized I was putting a band-aid on things to simply quiet my mind until the next episode. With the birth of my children something started to happen in furthest recesses of my mind; my subconscious began to heal without me being consciously aware. After my 3rd son was born there was a moment where all my subconscious efforts came to light. It was like the climax of a movie where the character suddenly realizes everything the movie has been building up to in one scene, flashing back to put all the pieces together. My instincts as a mother saved me. By birthing naturally I unknowingly tapped into the primal parts of my brain. In those few seconds time stood still and a reconnect began. It dawned on me, I could bond; I have bonded. But bonding to my kids was not enough. I needed to be whole, and in order for that to happen I needed to bond with myself. In a lot of ways I allowed my children to guide me, to teach me what it means to be bonded to another person. I kept them close by wearing them as babies, co sleeping until they were ready to sleep on their own, and breastfeeding. I had spent my whole life fighting who or what I was. Seeing myself as an unfixable monster. I always saw 2 people in me, my subconscious always out to get me or sabotage good days. In the past decade I have reconnected to this primal part of myself and my views have changed. I no longer see it as a beast out to tear my life apart, but instead more like watchful eye protecting me. Wow…I so understand where your coming from, I’ve never been diagnosed with rad but I think I might have some of the symptoms and yes I was adopted. My real mother sold me to my adopted parents but I definitely bonded with them and my children it came natural to me..I just have always had problems trusting other people except a few friends and family members other then that I’m a loner and the black sheep of the family I also have PTSD due to trauma ect but I would like to work on myself a bit and get out of this depression and fog that’s been covering me for years.. I think things got worse after I met my bio mom who only wanted to torment me and screw with my head…my whole bio family is screwed up in some way or other..all in and out of prison or dead. I have also been in and out of prison and like you said I see myself as two different people one part is so kind and just wants to be normal and whole and the other half is depressed hurt and full of rage and confusion. My kids honestly saved my life because before my kids I did not want to live its amazing how just being separated from your bio mother can affect you. Just because those behaviors are not part of psychologists’ definition of RAD does not mean they are not caused by RAD. It’s just that in order to diagnose a condition reliably, it’s better to look at the traits that are *specific* to that condition, not those that are commonly seen in many other conditions. For example, if you wanted to see if a child had autism, you would look at their social skills and whether they show repetitive behavior, *not* at whether they have delays in developmental milestones such as saying first words. It’s not that those delays are unrelated to autism – many autistic kids certainly do have delays in developmental milestones. But delays in developmental milestones are also a feature of a number of other conditions, such as mental retardation, specific language impairment, etc, and are therefore not helpful in distinguishing autistic kids from other disabled kids. Similarly, many kids with RAD do indeed have lie, steal, show a lack of conscience and so forth, and these do seem to be directly related to RAD rather than an independent issue. However, these problems are also seen in children with oppositional defiant disorder and conduct disorder, and therefore are not useful for distinguishing RAD kids from other kids with psychological problems. Hi. Can you please clarify if a child is diagnosed with RAD as a child can the diagnosis then become Borderline Personality Disorder in early adolescence / young adulthood? Thank you very much for this clarification! I look forward to hearing from someone. In my clinical experience, it would not at all be uncommon for kids with attachment-related symptoms to meet the criteria for Borderline Personality Disorder as adults. Here’s an interesting article looking at the topic. Very well written and so much truth to all of it. Being a mental health clinician and having a child diagnosed with multiple disorders, one being RAD, I couldn’t agree more. I believe RAD is so much rarer than we think. Many of the treatments are scary to say the least, but unfortunately there’s a market for it. Crooked clinicians are making thousands off vulnerable families searching for answers, and many times retraumatizing the entire family. They parade around the internet with lists of behaviors that are found nowhere in the DSM, promising results they rarely deliver. Desperate parents pay out of pocket for treatment, that is in itself many times abusive. I too fell for this after reading on the internet. Thankfully God led me to a therapist who worked on the entire family system and processing the trauma rather than engage in harmful attachment therapy. I feel like the further the research goes, the more confusing it gets, but maybe this is a good thing. Human beings are not simple and can’t be put into boxes, and every person diagnosed with ADHD is different, just as every person diagnosed with Bipolar disorder is different. Looking at the question of trauma, it seems that adopted children all react differently to trauma/attachment issues based on their own personalities and genetics. If we can’t fully understand why some people meet the criteria for psychopathy and borderline personality disorder when there doesn’t seem to have been major trauma in their background, how are we to understand why some children struggle with these issues and some don’t? I really do think genetics plays a large part, but the question for me as an adoptive mom, is how do we know where to go to begin to help them? Family bonding is obviously key, but where do we go from there? It’s difficult to discern. We adopted a special-needs sibling group out of our state’s foster system. Our “officially diagnosed” RAD adoptee had 18 sets of parents before we adopted her at age six. Her diagnosis came before anything had been published for parents about the condition. They are adults now. I blog about our experiences at TenBeautifulYears. The most dangerous people we encountered in church circles spoke often how our adorable kids fit so well in their families. Years ago I made an “xtranormal” film that was posted to YouTube about how frustrating it was to try to explain kindly to these uneducated people how their brand of Christian charity was hurting our adoptees. I called it “Your Adopted Kids Are So Cute, They Would Fit Perfectly in My Family.” One of the offenses this woman maintains is how “abusive” we have been to pretend our little cherubs might have psychological consequences resulting from being born addicted and bouncing around foster care approximately every 90 days to a new family. 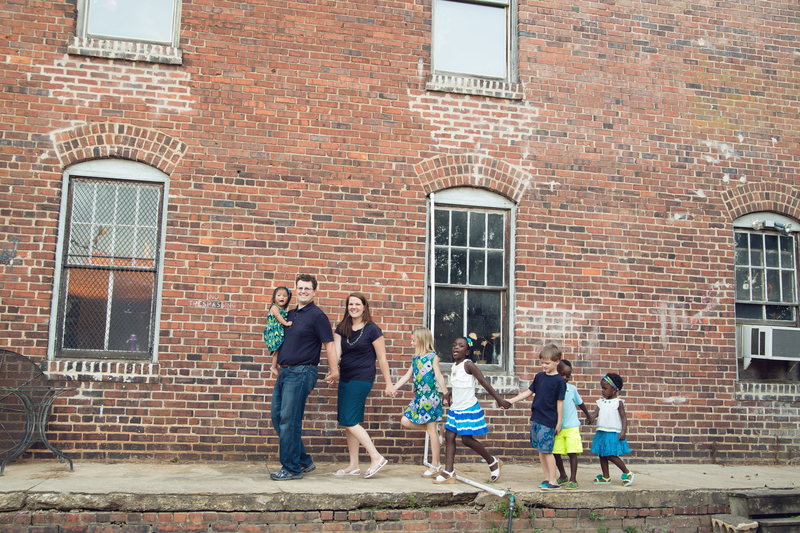 The Church really needs to understand how to best support adoptive families. Thank you for keeping us up to date as DSM attempts to clarify the issues! I know behaviors between our officially diagnosed (disinhibited?) one were so much more in-your-face while our unofficially diagnosed child’s behaviors most closely match inhibited descriptions. I’ve been reading about this for a few days now and at first I thought I might have RAD because of my anger issues and some of the things I did as a kid like starting fires ect but some of this don’t fit..I love animals. I love my adopted mom and dad and was a big time daddy’s girl until he passed away and it still bothers me i don’t think I’ll ever be the same since he’s passed. Also I have meaningful relationships with people I have the same best friend I’ve had since I was a kid…I have family members that I no longer speak to because we just did not connect but honestly that was mainly on their part because I opened my heart to some of them and they treated me as if I was trash. Not to mention I was abused by some of them and have PTSD because of it and other things I’ve been threw in life. I ran away a lot as a kid and never knew why I missed my mom and dad so much when I would run away but something inside me said keep going. I made it to California and even new Mexico one time I was only 11 years old when I started this. I went to juvinal hall at age 12 for lighting fires..from there to a group home or foster care place because of everything going on. I ran from there back home to my mom and dad and kept running back until the court finally let me stay home with them they fought for me and loved me threw it all. But still something was wrong and ended up in juvinal prison..from there adult prison TWICE and at 33 I laid in a hospital bed on life support for overdosing on pain meds intentionally…Obviously something is wrong with adoption but after meeting my mother for the first time and her running me around different hospitals getting me strung out on dope and using me for money I realized God put me where he wanted me to be. With my adopted parents. I find out after my mother left me stranded in a strange town at a bar with no money and no one to turn to that she sold me to my parents for her own selfish reasons. Imagine if I would of grown up with her. I would probably be dead. A lot of adopted children have issues but sometimes u need to look deeper into them because even I told stories as a kid I would switch things around about the abuse I went threw and I don’t know why but I had horrible dreams of abuse I never even went threw and I found out later that my mother had been threw a lot of the things I dreamed about I’m talking about extreme abuse…mine was nothing compared to what she went threw so it was like I felt her pain or something its kinda weird and hard to explain but don’t assume these kids are just making story’s up look into it a little. I think every kid manipulates sometimes to try and get their way but there’s a limit I guess or extreme that some go to. I never really manipulated because my dad who was much older then me and my mom was a master at it and a very wise man who could see right threw you. I was illigally adopted. My dad had a long prison record and they could not adopt legally but let me tell you he was the best man ever maybe not perfect and he did get violent at times but never really abusive. He just had old school ways and I bonded just fine with him and my mom as a matter of fact I could never be to far away from my dad it made me sick I literally could not stand it for a long period of time. I’m hoping that this whole rad theory is not a way for the system to discredit children who are being secretly abused my rich adopters…I hate to think that way but this is putting all adopted kids at risk for being abused or mistreated and everyone can just throw their hands up and say they are lying and have RAD predictors will now seek out adopted children in hopes of getting away with it because of this whole theory of them lying and manipulating…I think everyone who’s adopted realises something is terrible wrong within themselves and they are lost and hurt…But reading all of this about rad almost made me feel unhuman in a way until I realized that I can actually watch a sad movie and cry. I have deep rooted relationships. I love my parents . I have never mistreated them or animals or acted out sexualy and I probably stand a great chance of having rad…my mother drank and did drugs when pregnant. She only stayed with my adopted parents three days before she left me. And I was abused and institutionalized as a child and adult. I think some things just run in your blood line as well all my bio aunts uncles ect are wild and get in a lot of trouble my parents knew my bio family and the history they accepted me as I was and loved me threw it all I was one of the lucky ones but please understand that my parents were very strong people and they were not judgemental…they did not give up and I think maybe that’s why my bond is so strong with them they knew how to deal with me especially my dad because he had been out of control and in and out of prison himself so he understood. A lot of people get scared or give up when their little fanticy of a perfect child doesn’t come true and blame it all on the kid so they don’t look like quiters. My parents were not legally able to adopt and they did it..they saved my life I’m forever greatful…people need to look into these foster homes there’s nothing but abuse that goes on in these places sometimes more severe then what they were taken away from their parents for and the social workers call them liars and manipulators to cover their butts when at the end of the day they are to true liars and manipulators… Kids bring in a lot of money that’s all it is MONEY open your eyes and maybe then people will realize who the evil monsters really are. I can only wonder how many of these kids were actually telling the truth about abuse and got labeled as having rad or being a monster. WOW. Thank you for this! As a therapist myself, I’ve got a 6-year-old girl I work with who’s had me banging my head against a wall trying to figure out what’s going on with her. She runs from caregivers but wants them to chase her, talks gibberish, seems distant when you talk to her, lies about things it doesn’t benefit her to lie about, etc. She had a psych eval which claimed she doesn’t have RAD, yet other clinicians I know and trust tell me her symptoms are very RAD-like. I can’t piece it together. But when I look in the DSM, frankly, it’s not that helpful. The listed RAD symptoms are few, vague, and wide open to interpretation. Not very helpful either in diagnosis or treatment. I feel like I need a guide to RAD totally separate from the DSM. Based on this post, I’m glad to see I’m not the only person who’s been confused by this! Yes, yes and yes! I used to give professional talks on this very issue, the problems with misdiagnosis, and of course the dangers of the recommended treatments by self proclaimed experts. Upon a scientific standpoint, I may not be of much help in contribution to this topic. Although, I myself have been diagnosed as such. From an early age I watched my grandparents die in front of me. This caused our money to slip through our fingers as those who had died were our only source for money. As DCS stepped in, my only thought were as follows: “Will it ever be the same?” From such an establishment I was in, there were many infestations of bugs and rodents. I, with my mother, was taken to a large city within 50 miles of our residence at the time. DCS was attempting to allow my mother a second chance, which she unknowingly thew away during a promise with an untrustworthy looking man who promised a house. Not a homeless shelter that we lived in. After hours of walking we had realized he did not have a hot. After a few days of sleeping in the weeds my mother took me back to the shelter, where we were let in by another resident. The next morning, police and other official/governmental position adults were there to question us. After questioning, I was taken to a foster establishment where I remained for two years. I was then adopted by people who were rich and hungry for power. They attempted to buy out several churches as the father figure felt as though he was “called” to do so in order to preach,I was removed earlier this year after proof was shown of abuse towards me and attempted slavery where I was worked twelve hours a day. I was then moved go an establishment where my best friend had decided to beg his parents to take me in. After such, I found out that the younger brother of my best friend was homicidal, and attempted to do so towards me. I would not allow it, and saying that I was easily two to three feet taller in size and about that amount times in muscle mass larger than the boy, I easily overpowered him and decided\d that I did not want to continue to live in said establishment. I was then moved to a group-type home. There I was fed two year old food that had long since been spoiled. I will not disclose name of said organization for understanding that I wish to leave that in my past. I had to keep myself away from most of the other kids there as they all identified as gay. I do not have a problem with such, unless they attempt to involve me, which they did try. I was moved into an adoptive type situation, that did not work out as they began to fear me after they had mistakenly gotten upset towards me for “being tired” (what had really happened is that I used that as an excuse in order to not have to communicate with them, as they believed. I actually had been tired from a long weekend.) They decided to throw me out and I now reside in a foster home. I hope that this has been slightly inspirational, as I still receive a straight 4.0 which I am proud of. I am fifteen. I participate in sophomore classes despite my official freshman label. I hope to hear some replies, as I wish to hear feedback. But if o reply comes, I still hope that someone has been inspired.